EASTON – State Rep. Adam Dunsby (R-135) is inviting his constituents to three post-session town hall events he is holding with his fellow legislators throughout the 135th district. The dates are: June 4 in Redding, June 5 in Easton, and June 12 in Weston. He will offer residents of Easton, Redding & Weston an opportunity to discuss with him pieces of legislation that passed this year and other issues pertaining to the conclusion of the 2018 legislative session. Stay organized by creating a checklist of all the features and amenities that your new home could have. After you’ve listed all the features, decided which features are must haves, which ones you would like to have, and which ones you don’t need. During your home search you may find some things are not as important as you originally thought, and are willing to trade one feature for another. Having a physical list can help you prioritize what it is you are looking for in your ideal home. 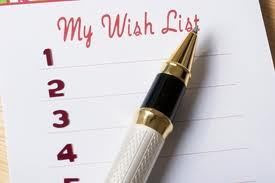 Give me a call today and we can help you create your homebuyer’s wish list. Robert Lessler moved to approve the minutes of the Easton Board of Selectmen Meeting of May 3, 2018. Adam Dunsby seconded. Motion passed unanimously. 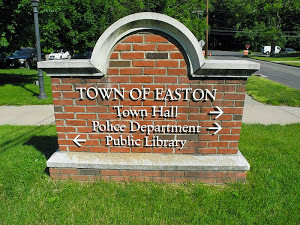 An Easton resident mentioned an upcoming court date on a filing she made. Robert Lessler moved to approve the following tax refunds as recommended by Krista Kot, Tax Collector: 1. ALLY BANK – $134.78; 2. CHASE AUTO FINANCE – $234.69; 3. CHASE AUTO FINANCE – $363.33; 4. CHASE AUTO FINANCE – $75.20; 5. CHASE AUTO FINANCE – $420.90; 6. RICHARD D. FRANK AND CAROLYN G. FRANK – $8,324.64; 7. HONDA LEASE TRUST – $58.37; 8. SANTANDER BANK N.A. -$152.48; 9. GRETCHEN SHIPPEE – $343.88; 10. TOYOTA LEASE TRUST – $354.56; 11. TOYOTA LEASE TRUST – $558.14; 12. TOYOTA LEASE TRUST – $618.72; 13. WELLS FARGO BANK N.A. – $610.12. Adam Dunsby seconded. Motion passed unanimously. Robert Lessler moved to approve the bid award for ROAD MATERIALS as recommended by Ed Nagy, Director of Public Works in his letter to the Board of Selectmen dated May 16, 2018 and as outlined in greater detail on the summary bid sheet dated May 15, 2018. Motion passed unanimously. Robert Lessler moved to waive the competitive bidding requirement of the Purchasing Ordinance for 4RE In-Car Camera Systems for the Police Department specifically for the reasons that this is a unique product, only one vendor provides this particular system and because of the exigency of time, having to purchase before June 30, 2018. Adam Dunsby seconded. Motion passed unanimously. Robert Lessler moved to accept the resignation of Janet Gordon from the Easton Library Board of Trustees and from the 2017 Library Building Committee with great thanks for her years of service. Adam Dunsby seconded. Motion passed unanimously. Robert Lessler moved to appoint Nanette DeWester to the Cemetery Committee for a term of 12/01/2017 – 11/30/2023. Adam Dunsby seconded. Motion passed unanimously. Robert Lessler asked what the approval of the state budget means to the impending bridge replacements and if the Town got the funds back to possibly do both of the bridges. Adam Dunsby said it was not clear at the moment as the Governor had just signed the budget, however, it would be logistically impossible for both bridge projects to be replaced simultaneously not to mention the work load on the departments performing the work. Robert Lessler moved to adjourn at 7:50 p.m. Adam Dunsby seconded. Motion passed unanimously.